Just as mountain biking has evolved into the various genres we have today, so have riders' tastes in equipment. From apparel to helmets to shoes, most of us don't care to look like we stepped out of the pro peloton while slip-sliding around on impractical, carbon-soled tap-dance shoes. In turn, we've seen the relatively recent barrage of shoes designed to combine the comfort and off-bike versatility of a skate-style flat-pedal shoe with the clipless retention and stiffness of a cross-country kick. Five Ten's latest addition to this category is the Kestrel Lace, which falls in line between the stiffer-soled, Boa-equipped Kestrel, and the more flexible, comfort-oriented Maltese Falcon. Five Ten's grippy rubber outsole compounds made the brand a household name in mountain biking, and while the Kestrel Lace is made for use with clipless pedals, its Stealth C4 rubber outsole provides off-the-bike traction on rocks and loose terrain as well as emergency pedal grip. Traditionally a fan of stiffer-feeling shoes, I found the Kestrel Lace's nylon shank provided plenty of snap when getting on the pedals, yet the shoes felt compliant with noticeable vibration damping when descending rocky, high-speed terrain. Lace closures have made a comeback in clipless cycling shoes, and the Kestrel's Velcro strap helps secure the loose ends. It's been an El Niño winter in California, so the Kestrels have encountered plenty of standing water. The breathable, perforated toe area remained water resistant during puddle smashing, but I can't say I ever had the shoes fully submerged. Whether shuffling over a hike-a-bike section of trail, or tromping through terrain with a camera bag, the Kestrels have resisted abrasions and shown impressive durability. Additionally, the ever-important connection between outsole, cleat and pedal was snug with consistent engagement on both Shimano and Xpedo clipless pedals. Depending on the brand, I range in shoe size from 9.5 to 10.5. Each of the size-10 Kestrels I've been riding in weighs 1 pound 1 ounce (505g) without cleats, which is on the heavier side for shoes in this category. Riders with high foot arches will notice the paper-thin insole, which provides very little support. Additionally, from the very first ride to the most recent one months later, I experienced the tongues of the shoes digging into my ankles and upper feet. After a handful of rides in a different pair of the same model for comparison, the pressure points remained, yet were considerably more tolerable. Of course, everyone's hooves are shaped differently, and the Kestrel Lace shoes may fit someone else's ankles much better. Regardless, I suggest trying them on before pulling the trigger. 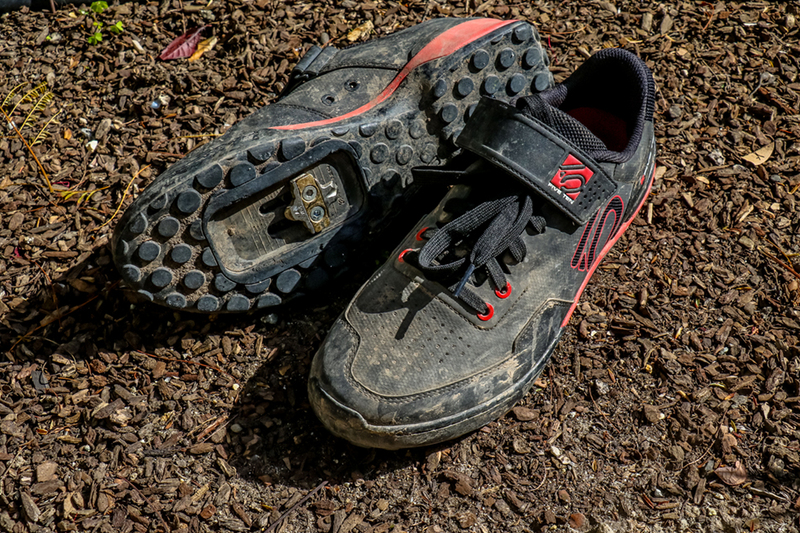 With the grippy, rubber outsole and a roomy fit, the Kestrel Lace feels more like a casual-style shoe than a traditional clipless model; yet they have plenty of stiffness for getting up to speed, and handle hiking with aplomb.